Are Greek ship-owners considering a move to Cyprus? 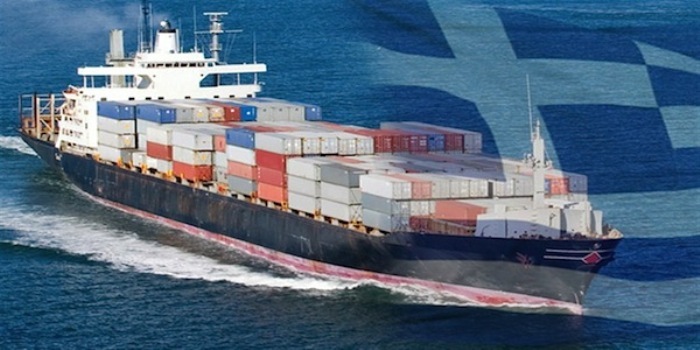 Due to the instability in Greece, Greek shipping companies are looking into moving to Cyprus. According to Cyprus Mail, the General Director of the Cyprus Shipping Chamber Thomas Kazakos has confirmed that few of the Greek companies have contacted maritime service providers and asked about tax issues and other shipping administration questions. He added that the shipping industry in Cyprus is not expected to be affected by any negative developments in Greece and that the island is the only open registry in the Eurozone meaning that it is not just Cypriot ship owners that are allowed to register ships. Greek shipping companies own around 40 per cent of the Cypriot registry, but there are also Germans who chose Cyprus as a base since the 80s. “Cyprus’ shipping infrastructure, meaning the tax and management system that have to do with shipping, is something Greek ship owners consider an attractive, competitive, law abiding and transparent system,” he added. Cyprus has the 10th largest merchant fleet in the world and the 3rd in the European Union with approximately 1000 ocean-going vessels of a gross tonnage exceeding 19 million, according to the Cyprus Shipping Chamber. Around four per cent of the world’s fleet is managed from Cyprus and 87 per cent of the companies are controlled by EU interests. Limassol is considered to be the largest third party ship management centre in the EU with more than 130 ship management and shipping companies maintaining offices and conducting international activities from Cyprus.